In a much anticipated move, Google plans to introduce an ad blocker to Chrome early in 2018. It will allow publishers to block AdSense ads they don't like on their site. The move should gain favor with advertisers and publishers that have been asking for more controls in Google's ad platform, as well as from consumers looking for a better online experience. Chrome will stop showing ads, including those owned or served by Google, on Web sites that are not compliant with the Better Ads Standards. Sridhar Ramaswamy, SVP of ads and commerce, confirmed in a blog post that Google wants to build a better Web for everyone by eliminating intrusive ads online without removing all ads. So the company joined the Coalition for Better Ads, an industry group dedicated to improving online ads, and stated several initiatives to help advertisers, consumers and publishers clean up online. The new ad experience begins with Funding Choices, a spinoff of Google Contributor that Google initially launched in 2014 and then shuttered as the company revamped the platform. The original service allowed Web site visitors to pay a monthly subscription fee to avoid seeing ads. Now in beta, Funding Choices enables publishers to serve a custom message to visitors using an ad blocker. The message would either invite the site visitor to either enable ads, or pay for a pass that removes all ads on that site through the new Google Contributor. An Ad Experience Report for best practices, which Google published along with the tools, should assist publishers to understand how the Better Ads Standards apply to their own Web sites. The report highlights "annoying ad experiences" in screenshots and videos that Google identified to make it easy to find and fix the issues. The move not only puts Google in a favorable light with advertisers, consumers and publishers, but will diversify the way Google generates revenue. Today the majority of Google's revenue comes from advertising. As Mary Meeker points out on page 327 of Kleiner Perkin's latest trends report, Google began as a search engine in 1998. The co-founders later created a holding company to support other services such as cloud services, self-driving cars, artificial intelligence and hardware, and satellites. Overall, Google's sales now contribute 81% of the ad revenue from its online network, about $17.4 billion -- up from 71% a year ago. During the first quarter of 2017, total ad sales rose nearly 19% to $21.4 billion, according to company data. Google will take nearly 78% of the U.S. search ad revenue in 2017, according to the latest report from eMarketer. 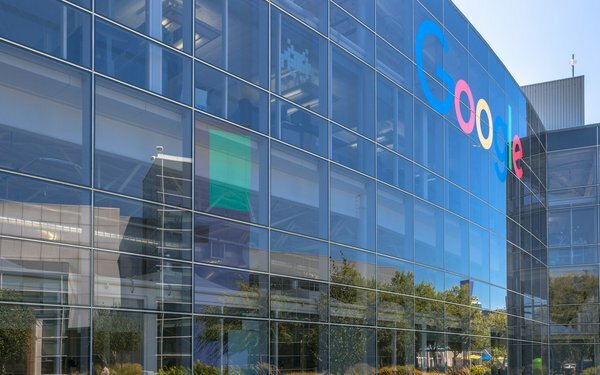 The biggest challenge, of course, will be for Google's parent company Alphabet to increase revenue from "Other Bets," which includes companies such as Nest, the self-driving cars unit, and the life sciences unit Verily. During the first quarter of 2017, "Other Bets" climbed 82% to $809 million. The downside is that the group has yet to find its footing. It had an operating loss of $3.6 billion in the final quarter of 2016. 1 comment about "Google's New Focus On Ad Blocking Should Diversify Revenue Gains". Jeff Martin from IMF, June 2, 2017 at 7:31 p.m. So, Google (who controls the #1 advertising network) is going to create and control their own ad blocker (through a browser they control) designed to cripple (only competitor) "annoying ads." I will be very interested in what the FTC has to say.